Prepared land use analysis and findings; coordinated gorse eradication proposals and application for Old Castle Concrete - Eugene Sand and Gravel; gravel site application approved by Curry County. Prepared waterfront zone Land Use Compatibility Statement for the Coquille Economic Development Corporation (CEDCO); approved by the City of North Bend. Prepared land use analysis and findings for a comprehensive plan amendment and rezone to remove the dredge spoils overlay from a portion of Bolon Island north of Reedsport to allow industrial use; application approved by Douglas County. Prepared land use analysis and findings for rezoning and comprehensive plan amendments to waterfront industrial property for the Al Peirce Co.; applications approved by the City of North Bend and Coos County. Prepared analysis and findings for approval of rezoning and comprehensive plan amendments for Reedsport School District property in Gardiner, approved by Douglas County, and for the former Bangor School site approved by the City of North Bend. 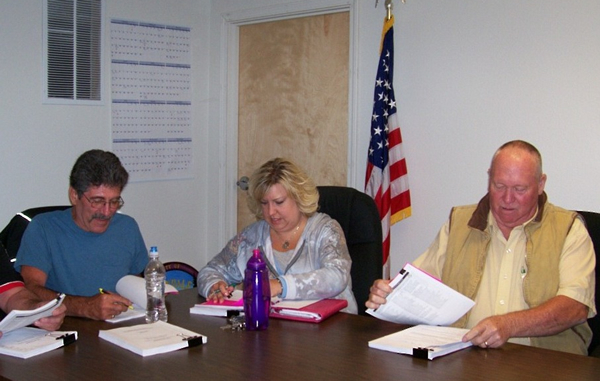 Developed surveys and newsletters; facilitated Tribal Council discussion, Tribal members and administrative staff workshops; carried out SWOT Analysis and prepared Strategic Plan. 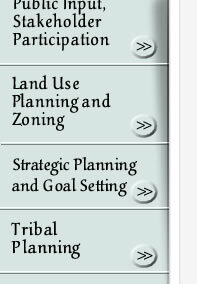 Facilitated, Tribal involvement, strategic and land use planning to prepare a vision and plan, Coos Head Land Use Concept for the Confederated Tribes of Coos, Lower Umpqua and Siuslaw Indians. Facilitated community meetings; prepared Charleston Marina Complex Vision andMaster Plan in cooperation with the Dyer Partnership, Engineers and Planners, Inc., for the Oregon International Port of Coos Bay. 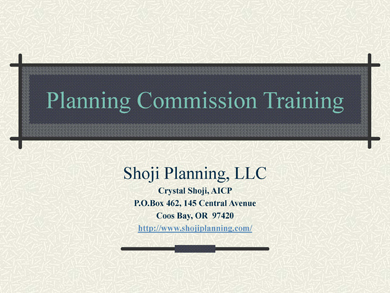 Served as project manager, planner and facilitator for land use community goal setting and land use analysis for the southern part of the City of Port Orford; prepared, with subcontractors, City of Port Orford, Looking to the Future, and zoning implementation language. 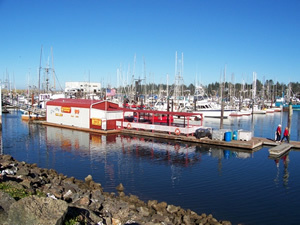 Urban Waterfront Master Planning: Cities of Coos Bay, City of North Bend, Coquille Economic Development Corporation (CEDCO). Prepared conditional use permit application analysis and findings for the University of Oregon, Oregon Institute of Marine Biology to allow expansion of their Charleston facility in a forest zone; application approved by Coos County. Prepared non-farm dwellings applications, conditional use permits, zoning and comprehensive plan amendments on resource lands. All submitted applications were approved. - Urban Growth Boundary adjustments. - Land Use Compatibility Statements. - DSL / Corps of Engineers Joint Permits.